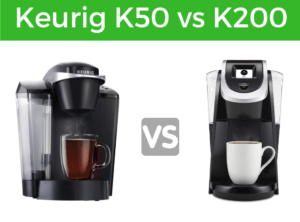 Keurig K50 vs K200 : What’s the Difference ? Keurig is top leading coffee maker manufacturer across the globe. In this article we are going to review Keurig’s K50 and K200, both are great coffee maker. If you’ll buy any of these you will not regret but before buying any of them it’s important to know it’s features & differences. In this post we are going to review both of these coffee maker that will let you know differences, features and you will be able to figure out which suits your requirements most. 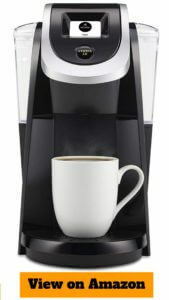 Keurig K50 is high quality, stylish looking, topnotch, easy to use and all purposed coffee maker. It brews coffee, tea, hot cocoa, specialty, and iced beverages. It’s orginal line series of Keurig brewing machines. It brews three different sizes 6 oz., 8 oz., and 10 oz. sizes and it boasts one of the shortest brewing times of less than a minute. It comes with features like Auto Off feature & Removable Drip Tray. Control of this coffee maker is so easy you have to just press buttons and your drink is ready. It’s performance is outstanding that surely suits your requirements and won’t disappoint you. 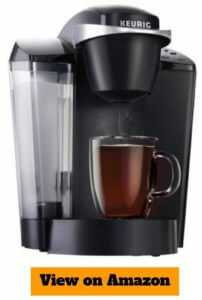 Keurig K200 is also good looking and packed with awesome features. Earlier Keurig used to criticized for lots od plastic waste so they released 2.0 pods which features reusable K-pods which mean more eco friendly. It comes with 9 brew sizes. It has 40 oz. Water Reservoir and let you control it’s strength. It’s also very user-friendly and it has Touchscreen display. There are many awesome useful features added in this model like Water Filter Reminder, Strength Control, language settings etc. The debate between Keurig K50 and K200 is quite common. From above table you can see that K200 has more features than K50, let’s dive more into this. Keurig K50 comes with three brew sizes but Keurig K200 comes with 9 brew sizes (including carafe sizes). K50 has larger water capacity than K200, K50 comes with 48 ounce capacity where as K200 comes with 40 ounce capacity. K50 has auto off feature but not in K200. But there are many features which is only available in K200 which is High Altitude Mode, Language Settings, Water Fill Reminder, Brewer Alerts and Strength Control. Newer may not better all the time but in this senerio, it is. Yes, K200 is better and there are a lot more extra useful features than K50. It has sleek beautiful touch screen display and ability to choose brew strength.